If you throughly enjoyed the way Nintendo handled last years E3 on the web, you’re going to love it again this year. 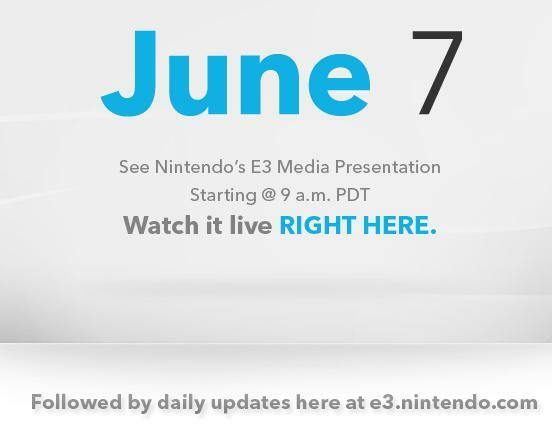 They will host their own live stream as well as release tons of information and updates through their own E3 Website. This is identical to what they did last year. What is neat is that most of the information they release is usually available through their press only site, but they decided last year to forgo that and simply make it a public event. Wise choice Nintendo, wise choice. There were people last year who could watch the stream or the videos from that site at all, and we assume this is due mostly to browser incompatibilities or older versions of flash. As such we are working on getting permission to host some of the video files through our own video system for your pleasure, as well as to obviously preserve the content. Last year Nintendo had video interviews that specifically targeted Zelda, and I am sure this year wont be any different given it’s the 25th, and we have two Zelda games on the horizon. E3 can’t come soon enough. Oh, on a side note Nintendo is holding a true developer only conference on the 17th of this month. What I mean by “true” is that there will be “zero” media presence, and as such there is not likely to be any new information leaked. There is going to be a strong focus on online in the discussions however, including match making, connectivity, friends, digital distribution, and multi-player. While we wont get any new news out of this, it’s still refreshing to see Nintendo going to developers to discuss how they can make a true online network, even if it’s for the 3DS and not Project Cafe.